OK, I'm very excited because I've seen Skyfall and it's brilliant. My faith in Connery as the best 007 is finally shaken and stirred (see what I did there? ), not his fault the movies are dated after 50 years of course but there it is. Highly recommended, and notable from the lifestyle point of view because of the (gulp) bit where one of the Bond girls - I'm not going to give away any plot points by saying who - takes his cutthroat razoe and shaves him. OK, call me old fashioned but if anyone wants to shave me, like Hadi at The Valet (incidentally I once took some stick from a correspondent for having a valet - can I repeat for the hard of thinking, it's the name of my barber in Croydon, anyone can go there), they'd better be qualified or at least experienced. Some secret agent who's recently shot me by accident (it's in the opening sequence, no plot spoiler there) can, quite frankly, bugger off. So I admire the people who're buying cutthroats from Shaving Shack, which tells me that since the movie launched they've noticed a 405% increase in sales. 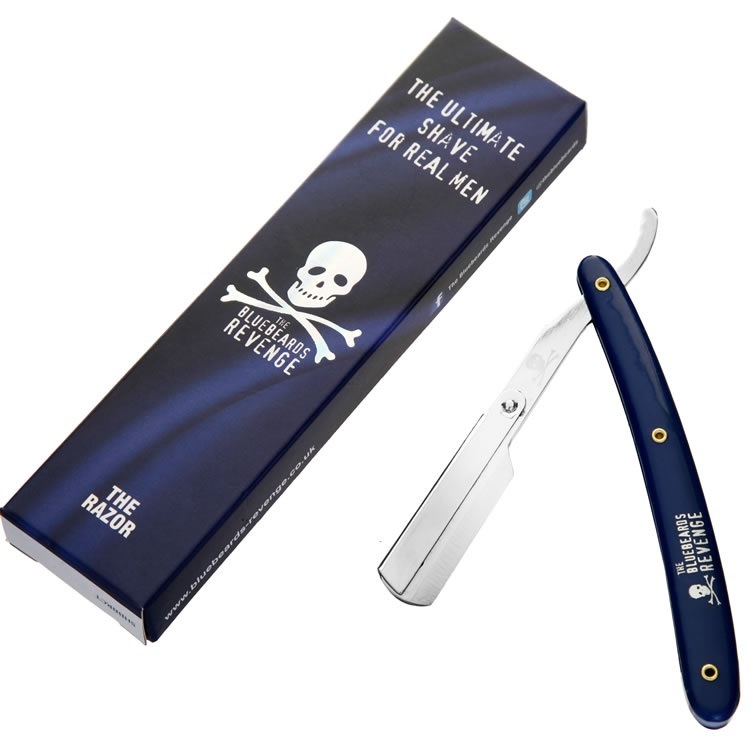 They're going to send me a sample(from The Bluebeards, pictured) so I can have a go. It comes with instructions of course. I am daunted but will give it a go. And if I end up with a better shave than I get from my trusty Merkur, which cost five times as much, don't be surprised if I end up looking a bit narked. Sometimes there's an idea that sounds fun on paper but when you see it, you just wonder why you would. That was my feeling when I saw the bespoke linings launched by my first tailor, A Suit That Fits (sponsored link, anyone buying a suit through it will be rewarding me indirectly). The principle is simple. 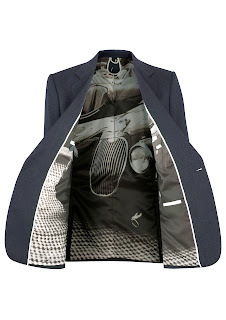 You get measured for a suit in the usual way of course BUT you upload a picture to the website and they put it onto the lining, much as in the illustration on the right. Click on it for a bigger view if you like. You need to click on disclaimers confirming that you own the rights to reproduce the pictures - no doubt sneaky unlicensed Lady Ga Ga or 007 logo pictures (we've all been sloshed at the computer, come on) will be intercepted. Endearingly, the spokeswoman at the launch said "we're trying to avoid comparisons with Boots" or words to that effect - putting us all in mind of Boots, immediately, of course. This is the Boots where you take your picture in and they put it on mugs, tee-shirts, whatever. But a suit lining? I find my other tailor, King and Allen, a bit restricted in that way if I'm honest; you get a plain lining and that's that. The paisley and jacquard offered by ASTF can be very appealing, but for me this is a little OTT. The spokeswoman said they found it worked well for wedding suits, and if that's who's buying it, fair enough. It's probably not for me, but if people are responding, good luck to them! I've been looking at iPhone cases. Not for the shiny new iPhone 5, you understand; many companies are still looking into just what they do to be compatible with those (if you think the case people have a problem then bear in mind the power connector has changed, too). There are still plenty of 4s and 4Ss around. 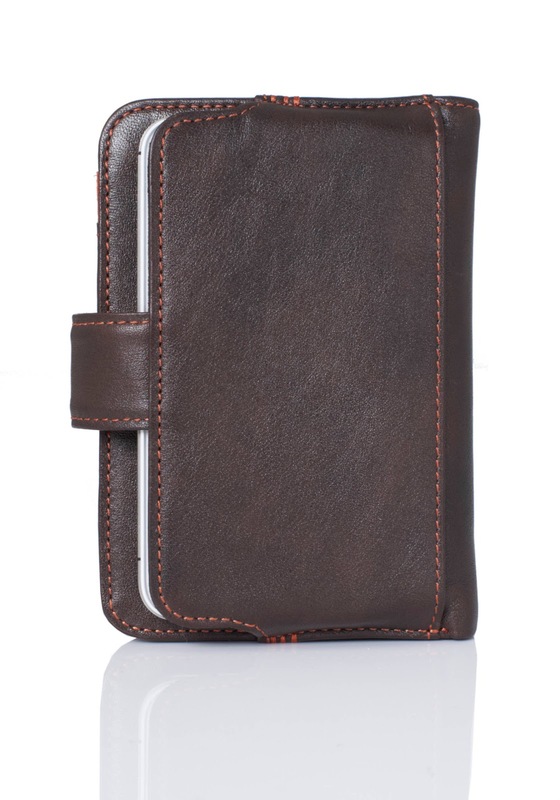 There's a nice leather one from Knomo available for £50, the iPhone wallet. As you'll gather it's a combination phone and wallet so you need only to carry one of the things around with you, which is a step forward for blokes trying not to rumple their suits with too much in their pockets (you know this is a problem when, as happened to me relatively recently, a tailor takes your jacket and complains it's too heavy...or was that my mother, or wife, or all three...). As you can see from the picture on the left it's nicely made and tastefully understated. 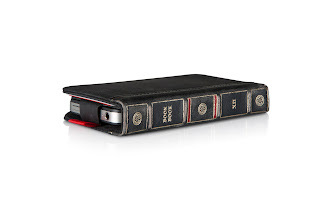 The other end of the spectrum is the Bookbook by Twelve South, which you can buy on Amazon by clicking here (this leads to my Amazon affiliates site, I will get a small amount for every one ordered through this link). When the review sample arrived (see picture) my initial response was that it was over the top, tacky and definitely not for me. My daughter, on the other hand, thought it was brilliant. "I love cheesy stuff", was her response, and it's certainly not for the understated. Both are nicely made and would stand up to being pulled out of your pocket a few times. 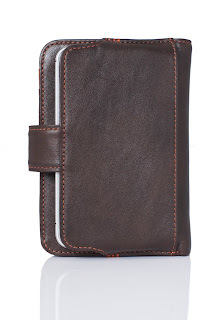 For me there's still a bit of a concern about pulling all of your money out every time your phone goes off, you never know who's watching; I hope I'm being overly cynical about that but in spite of the convenience I'll probably stick with a separate phone and wallet case for the moment.